After the revenant beta weekend, two main controversies related to weapons split testers across the forums. The first came with the revenant’s inability to change weapon skills in combat. While elementalists and engineers are both professions that lack weapon swap, this is offset by having other means of changing their weapon skills and the generally more versatile nature of their primary weapons. Revenant weapons, however, were much more specialised, with melee weapons having a maximum range of 600 (and much smaller effective ranges) and the ranged hammer relying primarily on a skill that does reduced damage at short ranges for DPS. That left the revenant with a choice of practically no ranged attacks at all – or being all but helpless at melee range. This issue was pretty much resolved by changing the revenant to have weapon swap after all. I’m still a little concerned about the revenant’s ability to engage in a close-range skirmish, but that’s a different consideration. The hammer’s weak close-range capability was crippling when combined with a lack of weapon swapping capability. The other debate, however, relates to most of the weapon skills having both an energy cost and a recharge. Many players feel that this is unfair, proposing instead that one of the resources be removed. Some call for weapon skills (and healing skill) to be based on cooldowns alone, thus completely separating the resources for the two sides of the bar. Others suggest that weapon skills should be based purely on energy and the player should be able to choose how to spend that energy without having to balance recharges as well. Each of these options would certainly simplify revenant play. Since most people outside of ArenaNet have probably had at most 80 hours of play (and I’d be impressed at the dedication of anyone who got even close to that! ), a simplified gameplay would certainly make it easier to run. However, the concept of balancing energy and recharge in the same skills goes back to the source of the revenant’s theme and the energy mechanic itself: the original Guild Wars. 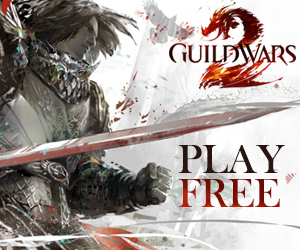 While the first Guild Wars had some skills limited only by cooldown (signets), other skills with no cooldown (generally spammy, low-impact skills such as Flare), and skills employing another mechanic entirely such as adrenaline, most skills were limited by a mix of energy and cooldown. The subtlety is in the balance between the two – some are primarily limited by cooldowns, others by energy. Disclaimer: While I tried to put together a bar that was at least somewhat competitive at some time, this bar is intended for demonstration purposes only. On the right side of the bar, marked in red, are skills which have high energy costs but short recharges. Such skills allow the elementalist to burn through a lot of energy quickly in exchange for achieving a high impact on the battlefield, if used wisely. After using them, however, the elementalist will normally have to spend time recovering before they can cut loose again. These skills could be equivalent to the revenant’s utility skills – use them excessively, and you’ll be left with auto-attack until you can recover at least a little energy. Marked in yellow on the left side are a set of more sustainable skills. These skills still cost energy, but the ratio of cost and recharge means they can pretty much be used on recharge and you’ll usually be fine – similar to the revenant’s weapon skills. However, the fact that they DO cost energy gives them an interesting interaction with the skills on the right: Using them can slow down or even halt recovery between bursts of the high-energy skills. If a burst drains your energy entirely, you may be left having to resort to auto-attacking. This presents a tactical decision to the player: How do you mix these two classes of skills? Do you use a mix of the two, knowing that this risks draining your energy all the faster? If you’re recovering from a burst and you can use your sustainable skills on recharge while still having overall positive energy regeneration, do you do so at the cost of delaying your next burst? Or do you hold back so the next burst comes faster? If you’re using your high-energy skills, do you stop before you run out of energy entirely to conserve energy for your sustainable skills? Or do you fully drain your reserve in the hope that you’ve had a decisive enough effect that you won’t need more than auto-attack for a bit? 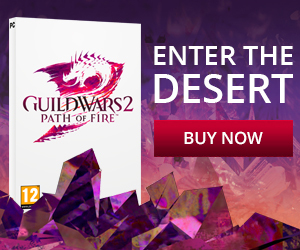 These seem to be the decisions that ArenaNet is looking for the experienced revenant player to be making, and this Guild Wars 1-inspired resource management really needs to have the current system for those choices. Remove it, and it becomes a simple problem: Use whatever energy-consuming effect has the biggest impact until you run out or that skill is no longer suitable to be used, let your energy recover, repeat. It would certainly make playing the profession simpler, but it would also lose some of the depth that can come from prioritising between skills, such as deciding whether keeping Vengeful Hammers whirling for longer is worth holding back from the more powerful weapon skills. Is it worth sacrificing a few uses of your non-auto weapon skills to remain in a stance that requires energy upkeep for longer? The current system allows players to make that call for themselves. However, the adept observer will note that there are skills, marked in blue, that do not really fall into either category. These are the skills that give you energy – also known as energy management skills. Fire Attunement, on the far left, is a fairly simple swap of a skill slot for cheaper skill usage. In Guild Wars 2 terms, this would probably be translated into a trait that reduces energy costs. Glowing Gaze in the center, however, is a little more interesting: At first glance it’s just another sustainable skill, but fulfill a relatively simple condition and it can give you a significant chunk of energy back. Currently, the revenant has no ‘passive’ forms of energy management, as represented by the attunement, nor ‘active’ forms that can improve energy if used appropriately. This makes energy a less interesting mechanic than, say, initiative for the thief. A thief can choose traits to boost their initiative, cause it to recharge faster under certain circumstances (and then strive to trigger those circumstances) or to take other traits instead and stick to the basic initiative mechanic. Contrast that with a revenant, which currently has no option to modify the operation of their energy recharge. Instead, the basic energy mechanic they start with is all the engagement with energy management they get. It would probably make for a more interesting mechanic if there were traits the revenant could choose to help with energy management, or skills which, under the right circumstance, provide a net boost to energy rather than a net loss. Gaining energy from using the right skill at the right time could add additional depth to the revenant playstyle. As some examples, considering the recent reveals, a sword revenant could have a trait that grants them an extra pip of energy regeneration for a short time each time they complete an attack chain, allowing them to increase their recovery speed (or offset somewhat the cost of sustain skills like Impossible Odds) as long as they don’t interrupt the chain with anything else. A staff revenant, conversely, could have a trait that means that when they successfully land Punishing Sweep on a target activating a skill, they gain 20% energy, which can be used for the followup or for some other skill as the player desires. At the bottom line, while technically a brand new profession, the revenant is essentially one fuelled by Guild Wars 1 nostalgia, including for the energy management system. The presentation of a choice between using energy for cooldown-limited low-energy skills and energy-limited high-impact skills is part of that, and an element which I think will only add depth to the playstyle of the profession once players move past the initial impressions stage and start to truly master it. Instead of fighting this, we should look to the original game to make the system more interesting – as well as ensuring the balance of the skills is such that revenant players have interesting choices to make and are suitably rewarded for making the right ones.